The driver of a Tesla car was reportedly left stranded in the desert when his car’s control app failed. Ryan Negri was using a key-less smartphone app to unlock and power his car, which failed when he came to an area with no signal. 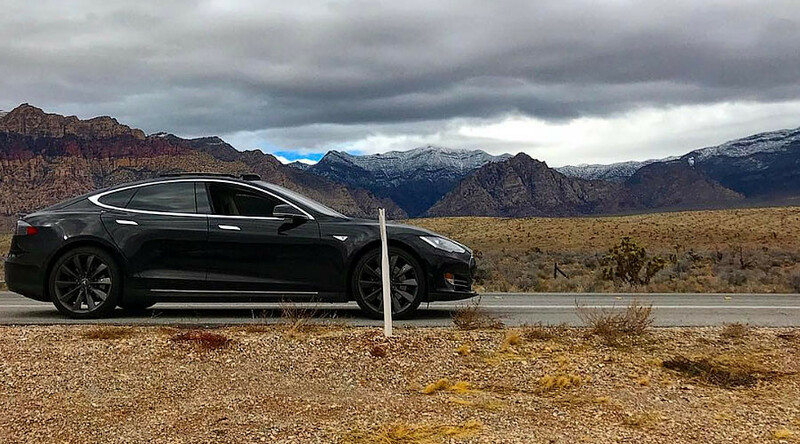 Negri decided to leave the key fob to his Tesla Model S at home, believing the app would be all he needed for a drive in Red Rock Canyon near Las Vegas on Saturday. About six miles (10km) from his home he stopped to adjust his dogs’ car bed, powering off the car to do so, which was when the trouble started. “Need to restart the car now, but, with no cell service, my phone can't connect to the car to unlock it,” Negri wrote on Instagram later in the day. The Tesla app requires internet access, in both the car and phone, to access the company's servers to unlock and start the car. Stranded in the desert with an unusable car, Negri’s wife made her way to higher ground where she managed to get phone signal and contact a friend for help. They then brought her home to collect the fob and bring her back. Negri admitted on Twitter that his predicament was his own fault, but criticized Tesla for not having a contingency plan in place for such situations, suggesting a simple password to unlock the car. @matevzg@internetofshit@Avodovnik Car was on just couldn't engage Drive. It's why I think a simple password could enable true keyless. Tesla rival Faraday’s FF91 boasts a facial recognition feature, allowing the driver to unlock the car automatically on approach. The vehicle isn’t without bugs, however, failing miserably to demonstrate its self-parking feature at the recent Consumers Electronics Show in Las Vegas.